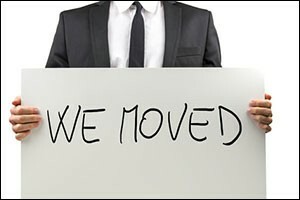 There are many reasons why you might move a commercial business. Either expanding to a larger space, moving to a better location or downsizing to reduce overhead – these are the most common reasons why commercial businesses need to make a move. Depending on the type of business that you operate, you may require the services of a commercial moving company. In some cases, taking advantage of commercial storage in Massachusetts can be beneficial as well, especially if you have a lot of retail stock, supplies, files, display racks, furniture or other things that need to be moved. When you start checking out moving companies in New Bedford, MA and the surrounding area, make sure to ask about all of the available options for commercial moves. One way to have a successful business move is to make smart plans. Working with a commercial moving company that has a lot of experience providing services to businesses is a great way to start. Tell them that you want to schedule your move in such a way that you will reduce the amount of downtime, such as moving at night or moving over a weekend. Sometimes moving over all of your non-essential items from the old location to the new can help to reduce your downtime. Then your office can stay operational all the way until the official moving day, helping you to still serve your customers without a large gap in service. Your business only makes money when it is open and operational, so working with a company that can take care of your packing supplies and services, such as delicate IT department moves, special handling of sensitive equipment and set-up at the new location, can really be important. It pays to have a solid moving plan in place to make sure you stay open as long as possible. Efficient moving is possible when you work with professional and experienced moving companies in New Bedford, MA and the surrounding South Coast area. Start Planning as Soon as Possible – In fact, many experts suggest that businesses begin planning a commercial move at least four to six months in advance. Once you find the location that you want to move to, you can start making solid plans and securing packing supplies and services, as well as schedule a date for the commercial moving company to pick up and move your things. However, you can start downsizing, restructuring and putting things into commercial storage in Massachusetts ahead of time to make a smoother transition between locations. Create a Budget for Your Move – It is a good idea to create a budget for your move and stick with it. This will help you to reduce the amount of money that can inevitably get wasted during a big commercial move. Contact moving companies in New Bedford, MA and get a quote for everything from packing supplies and services to transportation costs and any fees for moving sensitive or delicate items. Conlon Moving & Storage will provide you with a FREE estimate and will guarantee that the price they provide will be the price that you pay. That type of approach can really help you to stay on budget. Contact Your Vendors in Advance – It is a good idea to let vendors and utility companies know as soon as you can about your upcoming move. While the commercial moving company will take care of the moving details, you will need to let everyone know when and where you are moving to make sure you don’t miss deliveries, invoices, payments or anything important. If you rent or lease office furniture and equipment, make sure to let the rental company know about your move. They may want to move the furniture for you and can also help you with any additional furniture you might need if you are moving to a larger space. Let Your Customers or Clients Know – Give all of your customers and clients at least a 30-day heads up that you will be moving, especially if you are moving a great distance away from your current location. However, even just short moves down the street or within the same general area will require some advanced notice for your clients. Post notices on your website, the front door, inside your office, on company newsletters and toss a flyer into customer bags if you do a retail business. Make sure to provide the date that you are moving and the date that the new location will open. When you work with our professional moving specialists at Conlon Moving & Storage, you gain the experience of the many years that we have spent facilitating moves for residential and commercial clients right here in the New England area. While there are a lot of moving companies in New Bedford, MA to choose from for your commercial move, no one has the experience, training, know-how and professional options and services that you will find at Conlon Moving & Storage. Call today at 508-336-7766 and get a FREE estimate on your commercial move, including packing supplies and services or commercial storage in Massachusetts.